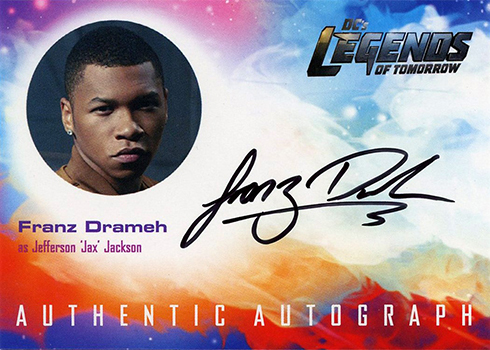 搶先看:2018 Cryptozoic Legends of Tomorrow Seasons 1 and 2明日傳奇影集卡第一、二季 - 球員卡相關消息區 - 育盛球員卡(球星卡)及各類運動討論區 - Powered by Discuz! 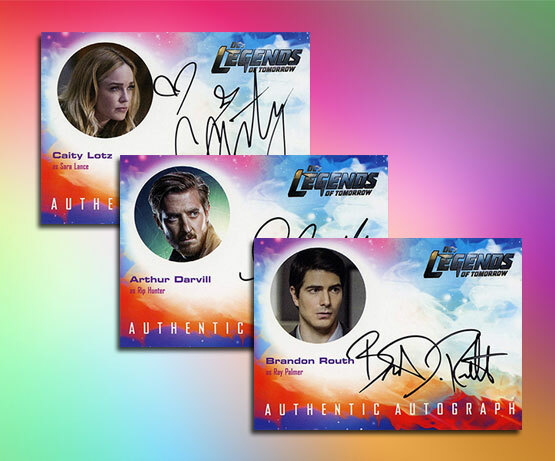 2018 Cryptozoic Legends of Tomorrow Seasons 1 and 2 trading cards live up the show’s large lineup of heroes. This comes through in several parts of the product, most notably in the autographs. Much of the product follows the Cryptozoic template. This includes the promise of both an autograph and a memorabilia card in each box. 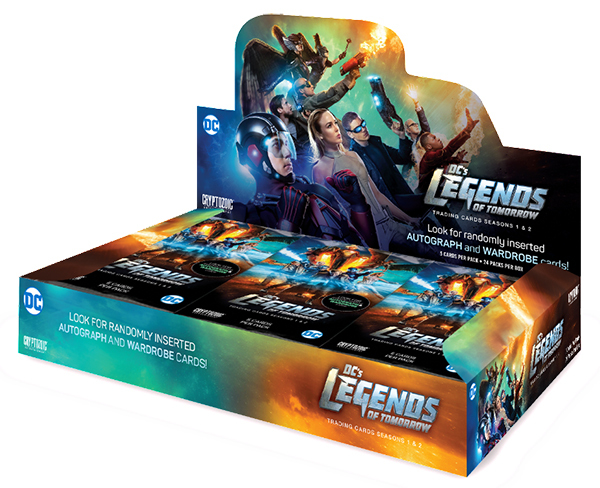 The 2018 Cryptozoic Legends of Tomorrow Seasons 1 and 2 base set uses 72 cards to summarize the first 33 episodes. Parallels incorporate foil as well as one-of-one Printing Plates. Regular inserts include Character Bios plus the thematic Icons and Legendary Objects. One of the things that makes Legends of Tomorrow standout among the large number of super hero TV shows is its large mix of heroes. It’s truly an ensemble. And that’s what Cryptozoic has done with the signatures. Not every major character was part of the initial lineup but it’s still deep. 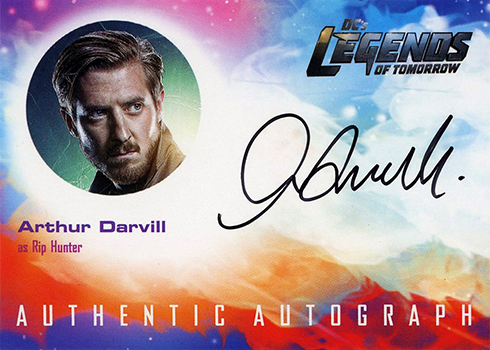 Arthur Darvill, who plays the ringmaster of sorts, Rip Hunter, is among them. Darvill’s other credits include Doctor Who. He has signed a few cards for Topps in the past. Another notable name is Brandon Routh who shot to immediate stardom as Superman in Superman Returns. 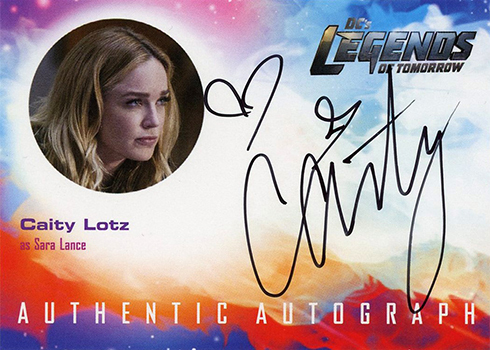 Other key cast members with autographs in 2018 Cryptozoic Legends of Tomorrow Seasons 1 and 2 include Caity Lotz, Amy Louise Pemberton, Franz Drameh, Maise Richardson-Sellers and Neal McDonough. The checklist also has some notable guest stars. One is Stephanie Corneliussen, one of the stars on Mr. Robot. 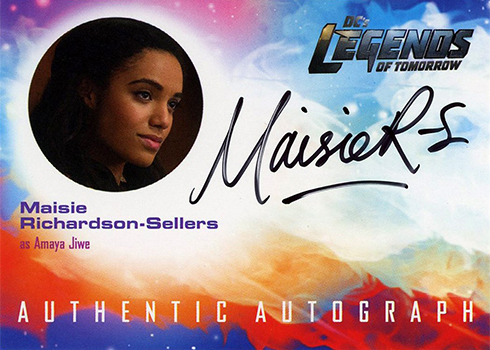 The one-per-box memorabilia cards include pieces of costumes worn on the show. One is exclusive to the product’s binder and not available in packs. The following is a tentative list of confirmed signers and could change.